Aging is always hard to think about, especially when you are thinking about someone you love. One of the hardest experiences for me has been seeing my parents age. Now, don’t get me wrong – I know that it is a natural process and I know that everyone, myself included, is aging each second, but when you think about it with your parents, or another loved on, it can really tug at the heartstrings. I’m very lucky to still have my parents around. I know that a lot of people are not this fortunate and I am so very grateful that I can call my parents up and have a conversation with them, or go and give them a hug. As you age, one of the most important things that you need to think about is your health. Actually, this goes for everyone because you should really start focusing on your health at a young age, but most people push it to the side until they have to start focusing on it, which is understandable (although unfortunate). As you age, you will begin to understand the importance of your health and you will think back on all the times where you could have improved it, but that is in the past and you can only start improving your health from this very second. There are many ways to improve it – start working out, make sure you are eating healthy, and make sure you are mentally-fit, as well. For working out specifically, there are many customizable programs out there that can work for any age group or fitness level. For example, Pure Barre is one of those programs. They say, “ For 50’s and beyond (age group): Posture, posture, posture! Fight your body’s tendency to curve forward during this decade by placing an increased focus on strengthening your abs and back (core). This will prevent abdominal fat storage, as well as decrease the back pain that typically comes with poor posture. In Pure Barre we focus on a long, lean form and proper spinal alignment. Your core muscles are also used throughout class, whether you are working them as the primary focus or as a stabilizer muscle for a position working a different muscle group such as thighs or seat. As you strengthen your core, you will notice that you can sit and stand taller and your lower back will take less stress and tension throughout the day. You’ve heard it before, and we will say it again – stretch every day! It is every important to keep up your flexibility and balance in your 50s and beyond. The amount of stretching that we do in each Pure Barre class will guarantee that you will see increased flexibility the more classes you take. Pure Barre is a great option for those who are beginners to working out. Another great option would be to invest in a personal trainer who will customize a program specifically for you. I know the process of starting to work out can be very intimidating, but it only gets easier and it will significantly benefit your health! One of many hard things to think about as you age is how your final affairs will be settled after you pass away, but thinking about it is very necessary because you want to make sure that your family is taken care of and that they do not have added stress. That is why hiring a probate attorney is so very important to think about as you start aging. According to Judy-Ann Smith Law Firm, P.A., “A probate lawyer, understands how to advise the Personal Representative, also known as an Executor, and the beneficiaries of an estate on how to settle all of the final affairs of a deceased person. The role and duty of a probate lawyer is to guide the chosen personal representative through all the stages of the probate process. The probate process can be complex and will differ based on whether the decedent died testate, meaning with a valid Last Will and Testament or intestate, meaning without a valid Last Will and Testament. A probate lawyer ensures that the personal representative is able to comprehend what must be done to respect the interests of both the beneficiaries and deceased. A probate lawyer can also be hired to advise the beneficiary of an estate on legal and other matters presented to the beneficiary by the personal representative during the course of the probate process. Judy-Ann Smith has a passion of helping people. She builds relationships with all of her clients and actually listens to them, so that she can get to know their needs, issues, and can form a deeper understanding of what they would like to achieve and accomplish. Most importantly, she says that she is an assertive advocate for her clients. She fights for what is fair and just, according to the laws of the land. Judy-Ann Smith is a member of the Florida Bar Association, the Florida Bar Family Law Section, the Florida Bar Real Property, Probate, and Trust Law Section, the Clay County Bar Association, the Jacksonville Bar Association, the Financial Planning Association, the Association of African American Financial Advisors, and the D. W. Perkins Bar Association, as well. The Judy-Ann Smith Law Firm, P.A. is able to help you when it comes to estate planning, special needs trusts, asset protection, incapacity planning, probate, trust, and estate administration, family law, and more. They will always be focused on you, the client, and aim to help you! 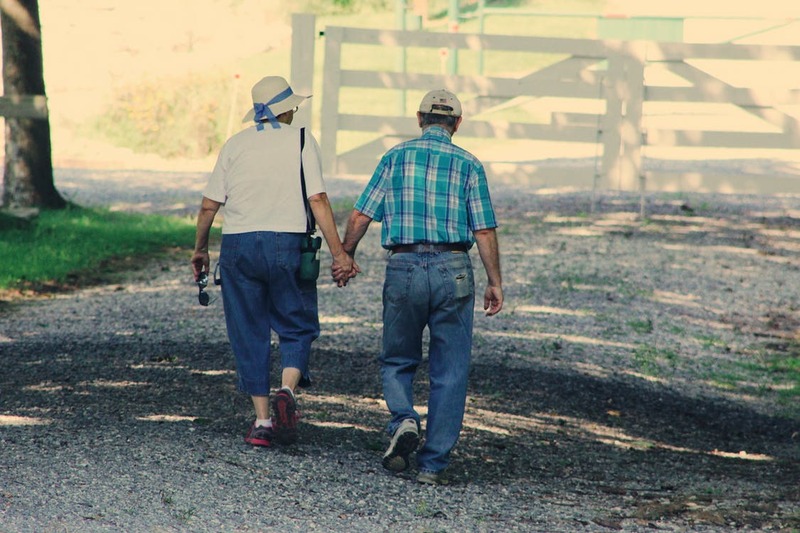 As you age, you will begin to realize that relationships are so very important. You want to make sure that you are thinking about the people who are important for you and go out of your way to make them feel special. It can be hard to balance your time, especially if you have a lot of great people in your life, but I always recommend trying your best to stay social and active, while visiting and spending time with those whom you love. Travel now, while you still can. As you age, you will think about all of the places that you have not been to yet and you will start to wonder if you will ever get there. Take advantage of your current age and fitness level while you can and see the world so that you have no regrets once you are older. When you do start thinking about it as you age, take advantage of your time then, too! Go see the places that you wish you could have seen earlier. You are never too old to travel, in my opinion (unless your doctor advises against it! ).